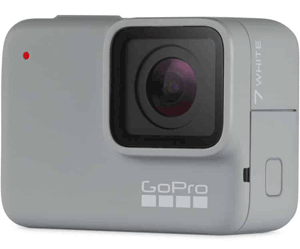 GoPro Hero 7 available on three different types black, white, and silver colors. The design looks virtually identical to that of the Hero 6, which itself wasn't a major diversion from the Hero 5. Also, only the black model will come with a display on the front, while the white and silver will not. Hi Expandore, I would like to check whether there will be a new Gopro cameras coming out soon this season? After Gopro5 , Gopro launched the Gopro6 and Gopro Hero within a very short time frame and after which it has been quiet for more than 8 months. I strongly believe something is going to happen soon, Gopro as a MNC corporation should be quietly cooking some new interesting product to justify its existence and rival against its competitors. Both Gopro 5 and 6 has reached its saturation and peak, and Fusion is still trying to find its anchored point, thus Gopro should have ready recipe for it new " food ". To me this is a logical move to come out with new product any time soon Can you share with us , is there any ? Following Alex's comment, I think I can make better guess, Gopro started with it Gopro 3, 4 5 and followed by 6, the new innovative ( I supposed it got be new innovative to gain the market share), the new born will be a HERO7 Gopro or Gopro 7. Looking at the current staturated market situation, to make the product attractive and interesting, basic default features should include 4k, 30 or 60P, time lapse recording and both fast and slow move capturing plus some amazing features that will be beyond my expectation. Added to this the cosmetic design will be revamped so that it can be just placed in the pocket or make it even more portable like Sony. The new design should be also Drone-Friendly to ride on all the mass market of the drone's video capturing. ( Although they are our of this market ) As for price point, since they will be targeting at consumer, prosumer and Professional, they should have few models to meet those requirements and to make it affordable. My only concern is that the new design might have it new designed battery too, thus the old battery are not usable at all ( Very concerned about it ), Gopro should consider to allow the old battery to be able to used in new product, thus it can capture it Loyal upgrader else they may turn them away. While trying to get the new customer, Gopro should spare a thought for its current users. Last but not least for GOPRO to go for wider market , other than position themselves as action camcorder, it should make it easy to operate like a simple DSLR/ camcorder market thus expanding its customers' base. The future of the gopro depending very much on its creativity, innovation , Wah factor and new applications of a small camcorder. It is confirmed that Gopro is going to launch new new models for Hero7, namely White, Sliver and Black. The Black version come with a Screen while the rest doesn't. It come with image stabilizer and capable to go under water upto 33 meet or 10m. The Black version should be capable of recording 4k 60P, to answer Alex's concern about the battery, both While and Sliver are of built in battery while the Black you can use the Hero6's battery. Cant Go pro develop some standard for the industry to follow, a standard which benefic the user and to create astonishing picture image and video quality, I am losing my patience for staying with the same. If gopro just playing around to improve the "old" technology and find no afford to invent something new, they will not grow. I have searching high and low for my Gopro3 new battery, it seems that it was totally not available here in Singapore or sold sometimes ago. I took me 3 days to find your shop, not only this battery is available, the price remained and your sales staff are courteous and helpful. For For those who are looking for Gopor Hero 3 battery, I believe this is the only shop now with ready stock, but they have left with just few only.Good luck. I am a fan of Gopro and I would just like to check with you if there would be any release of a new model as I'm planning to get another one. 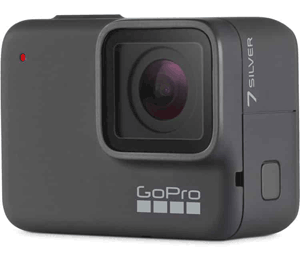 The Gopro Hero 5 was released on September 2016 and Gopro Hero 6 was released one year later on September 2017. So I was just wondering if there would be a new model (Gopro Hero 7?) that would be release this year? I had seen online post that discusses about the released of gopro hero 7. Wondering when the release would be? Sure hope that there would be a drastic improvement from the gopro hero 6 as the announcement of the Hero 6 was disappointing back then due to the insignificant difference from Hero 5. I am a gopro user and I sure hope that Gopro Hero 7 will come up with new fascinating functions and features that would make me look away from the other action cameras competitor. Had been using gopro since the Gopro Hero 3+, and I must say that I absolutely love it UNTIL RECENTLY, where I came across other action cameras, namely the Sony FDR-X3000. The optical stabilization and the zoom function of the Sony camera is just amazing! The Advance stabilization of Gopro Hero 6 is not even on par with it. 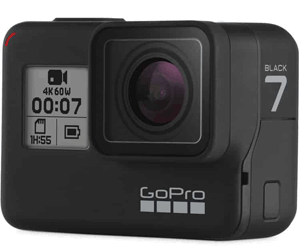 As I heard rumors of Gopro Hero 7 release, which might be on End September / Early Octoboer like the Hero 5 and 6, I sure hope that there will be new features that would make me continue to stick to the brand before I decided to make a switch. I am an avid user of Gopro and I have all the models of Gopro ever since the Hero 3! I am definitely excited for the new release of gopro hero 7! I sure hope it comes with improved stabilization so I can fully ditch my gimbal (it can be troublesome to calibrate it sometimes). The gopro hero 6 advanced stabilization is great, but I feel that it could be better. Other than that, Gopro has always been a "Go To" Travel camera for me. Can't wait for the official release! So many action cameras nowadays, how can Gopro make themselves stand out? By improving on the specs is one, but what they need is something new and innovative. The released of the Gopro Hero 6 last year was disappointing, with not much exciting new features. How can they differentiate themselves from their competitors? Would the Hero 7 be the real deal? I wonder.. Though I highly doubt it. Can't wait for the official release and news on the Gopro Hero 7, really curious to find out how they can beat out their competitors! Would they be having a 1.0" -Type Sensor just like the RX0? Or even Optical Stabilization like the FDRX3000? Now that I know for the fact that there's definitely going to be a Hero 7 this year due to the leaked news, I'm really hyped! Go for it Gopro! I had read from the Gopro community forum that the Hero 7 new features include Hypersmooth Stabilization, Timewarp video, Live streaming and Auto download to phone. Live streaming is the trend nowadays so it is not that surprising and the auto download is nothing new either. I really wonder what's the Hypersmooth stabilization and Timewarp Video though. I suspect that the Hypersmooth stabilization is just an improvement from the previous hero 6 advanced stabilization, and it won't be fascinating unless it can work like a gimbal without even needing one. The Timewarp itself sounds like the term Timelapse, so it could be something similar too? All in all, if these above were to be stated to be true as from what I speculated, these new features doesn't sound astounding at all, it just looks like some minor improvement from the previous model. I really hope that there's more features and functions that can allow gopro to stand out once more. Hope for good news from the official release.